When George H Bush came to Kuwait’s defense, he announced a New World Order coming into view. The global economy advances as the global government grows. I would like to explore the history of this global structure further. So now I would like to assemble a timeline of events so we can see the progression of this global economy. 1. 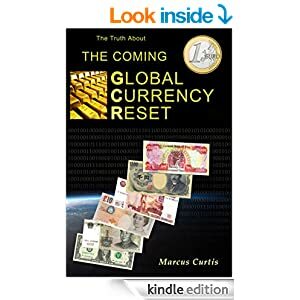 The first event to happen in the rise of this global government was the currency laws that emerged during the civil war. As states sought to succeed from the Union, nation currency laws were set in place to help finance the North’s army. Some of these laws are The Legal Tender Act and the National Banking Act. These laws established a foundation for today’s national banking laws. 2. The rise of the Gilded Age created wealthy aristocrats who would later finance the global government through their foundations. People like John Rockefeller, Andrew Carnegie, The Vanderbilts, and J.P. Morgan became the architects of this government structure. 3. 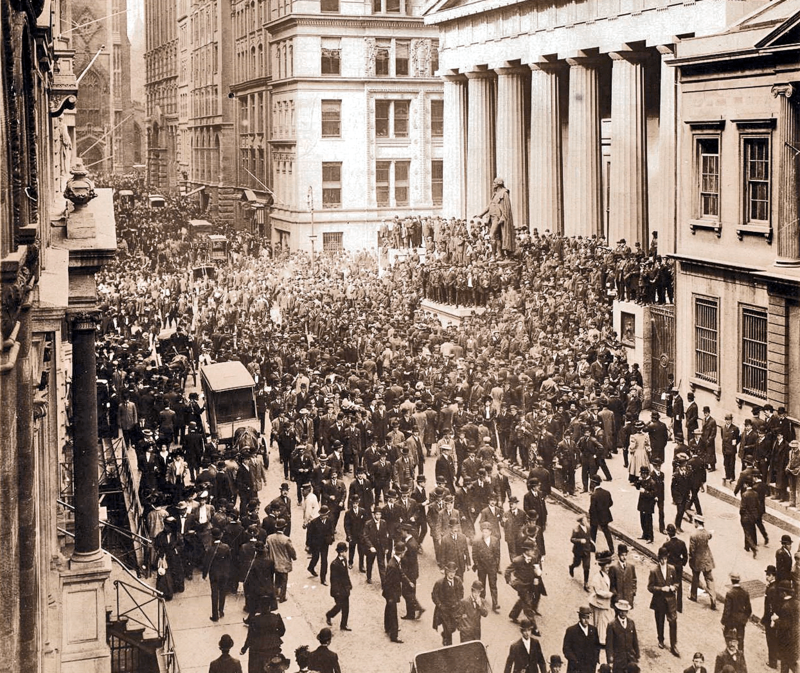 The 1907 bankers panic was instrumental in the call for a central bank. Money needed to be expanded and contracted as needed and the current structure was seen as too limiting. The panic came as the stock market began to fall. Banks that gave out margin loans to invest in the stock market suffered as the stock market fell. A panic ensued on these banks and some collapse would come as a result. 4. In 1913 The federal reserve is established as an independent bank with stockholders. This bank was given control over the nation’s money supply. In that same year the IRS was created and the income tax was introduced as a way to back the new debt based currency the Federal Reserve would later use. The end result was a surrender in personal freedom and sovereignty as the 16 amendment gave way for new ways of taxation. Now it appears that this amendment that allows for the taxation actually supports the Federal Reserve and it was never ratified. 7. Changing the monetary system was the next thing to happen in this series of events. We were removed from the classic gold standard. This was accomplished by a series of steps. The first step was to expand the money supply. This happened during the roaring 20’s on up to 1929. The next step was contracting the money supply at the end of the decade. This also led to the great depression. Every country around the world left the gold standard. 8. The great Depression was the pretext for government expansion. Several things happened during the 30’s to expand this global government and now the U.S. government was being expanded at an unprecedented rate. Roosevelt’s new deal created a lot of laws and as a result, many government departments were added. His reforms amounted to nothing short of a huge expansion of government. Some of these laws are National Industrial Recovery Act, The Agricultural Adjustment Act, The National Labor Relations Act, and The Tennessee Valley Authority Act. Several laws were passed in the first 100 days of his administration. The next step in changing the monetary system was the confiscation of America’s gold! Before the stock market crash gold was worth 20 dollars an ounce. You could trade a 20 dollar note for a 1 ounce gold piece at any bank. On April 5th 1933 Roosevelt issued executive order 6102. This order outlawed any private collection of gold. This was not an act of congress. This was the actions of one man who overstepped his boundaries and powers! He did not have the constitutional authority to do this. This order required all persons to deliver their gold to the Federal Reserve on or before May 1, 1933 in exchange for $20.67. Those who would not comply would be fined 10,000.00 and spend 10 years behind bars! No one was ever fined or imprisoned. The threat led many Americans to trade in their gold. Once the trade in period expired and the Federal Reserve received most of the gold from the American people, The government raised the price of gold to 35.00 an ounce, thus robbing the American people again by debasing the currency! Roosevelt then formed the Exchange Stabilization Fund and connected this establishment directly to the Treasury. The Federal reserve and the Exchange Stabilization Fund are the agencies that are used to set global markets. So as we can now see, The ESF was created by Roosevelt and it is used as a controlling arm for the Federal Reserve. The Federal Reserve provides cover and takes the blame for the ESF activities. 9. While The United States Government was being expanded in the 1930’s, The power of the states was being stripped away through federal laws and new agencies. At the same time this was happening the Hague agreements of the 1930’s led to an expansion of the global government. The Hague Agreements are maintained by the World International Property Organization or WIPO. The BIS was established by the same Hague agreements from the 1930’s. The Bank For International Settlements or BIS serves As an organization for central banks. The BIS encourages international monetary and financial cooperation. It also serves as a bank for central banks. The League of Nations was considered a failure after World War II. It failed to stop hitler or have any affect on the events that unfolded during the course of the second world war. The text of the “Declaration by United Nations” was drafted by Franklin Roosevelt, Winston Churchill, and Harry Hopkins, during a meeting at the White House on December 29th 1941. The United Nations replaced The League of Nations. The Rockefeller foundation donated all the land where the united Nations would be built. The international Monetary Fund was born out of a conference on July of 1944 Held by the soon to be United Nations. This conference was called Nations Monetary and Financial Conference. This conference took place in Bretton Woods New Hampshire. The IMF was formally organized on December 27 1945. This is when the first 29 countries signed its Articles of Agreement. The statutory purposes of the IMF today are the same as when they were formulated in 1943. The IBRD was established mainly as a vehicle for reconstruction of Europe and Japan after World War II, with an additional mandate to foster economic growth in developing countries in Africa, Asia and Latin America. It began commencing operations on June 25th 1946. It approved its first loan on May 9th 1947. Later this organization became part of The Word Bank. When the European nations were being rebuilt, they had to sign on to the Bretton Woods System. These nations surrendered a lot of their sovereignty to the new international laws that were being made at that time. These nations accepted a new monetary system. The Bretton Woods system of monetary management established the international laws for commercial and financial relations among the world’s major industrial countries in the middle of the 20th century. 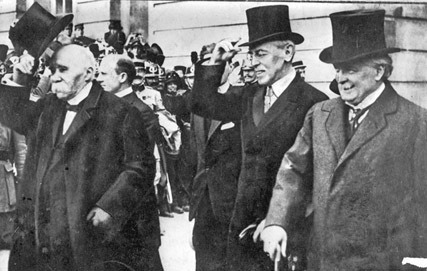 The Bretton Woods system was the first example of a negotiated monetary structure intended to govern monetary relations among global independent nations. While planning to build a new international economic system as World War II was still raging, some 730 delegates from all of the 44 Allied nations gathered at the Mount Washington Hotel in Bretton Woods New Hampshire. These delegates attended the United Nations Monetary and Financial Conference. The delegates deliberated and signed the Bretton Woods Agreements during the first three weeks of July 1944. This same conference gave us the IMF and IBRD. The new system worked like this. After World War II America had about 80 percent of the world’s gold. This is because the American government confiscated as much gold as they could since 1933. America also profited from both sides of the war. America was often paid in gold for goods it exported on behalf of the war effort from both sides. America issued currency based on that gold. Other nations held America’s currency in their reserves and based their currency value off our dollar. Nations throughout the world now held the dollar to back their currency. The United States dollar was backed by gold. The General Agreement on Tariffs and Trade is typically abbreviated as GATT. It was negotiated during the UN Conference on Trade and Employment. It was the result of the failure of negotiating governments to create the International Trade Organization or ITO. GATT was signed into international law in 1947. It lasted until 1993. It was replaced by the World Trade Organization in 1995. The original GATT text of 1947 is still in effect under the WTO framework, and it is subject to the modifications of GATT 1994. All of these organizations came about in the mid to late 1940’s as the international community began to take shape. 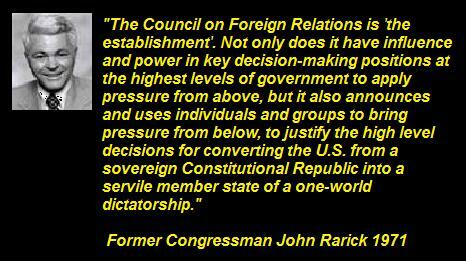 Now because of these global organizations, nations are now subject to international laws and UN mandates. In the 1960’s America’s debt was out of control. Entitlement spending, the war on poverty, the Vietnam War, the space race, and the Cold war were all areas that were draining America’s pockets. Our debt began to climb during the Johnson administration. Nations around the world saw our debt skyrocket. Since foreign nations had their currency backed by US dollars, and since our dollar was backed by gold, these nations wanted to trade the American dollars they held for the gold America had in its possession. This would completely drain America’s gold supply as nations sought to back their currencies with gold. America’s debt became their motivation. Therefore, on August 15 1971 Nixon removed us from the gold standard, thus ending the Bretton Woods System. This is also known as the Nixon Shock. By doing this one action, Nixon made all currencies backed by our dollar fiat paper. Fiat means money without intrinsic value. 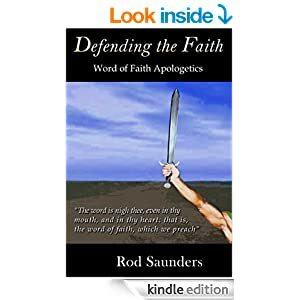 It is faith-based. It only has value because people believe and perceive value in the currency. Something had to be done to restore our currency value once again, and the petro-dollar was born in 1973. Henry Kissinger was instrumental in setting up this agreement with the Arabs. It works like this, OPEC and Arab nations went into an agreement with the United States. Their part was simple. All they had to do is sell their oil only using US dollars. In return for this, the United States promised these Arab nations military protection. They also promised the Arabs they would become rich. This action created global demand for the US dollar, and the petro-dollar was born. If you are a nation that does not have oil as a resource, you have got to find a way to buy oil for your country, and to make matters worse, you can only use United States Dollars to get that oil. If you are a nation like Japan, you got two choices; exchange yen for dollars and buy oil, or sell the Americans a Toyota, Datsun, Honda, or Nintendo. Use the tax revenue from those items to buy oil. Jobs in the 1970’s began to be exported to foreign countries around the world so that these countries could generate the US dollars needed to buy oil. This is when America began to export its manufacturing base. Nations also traded with each other using the dollar as a means of trade. It seemed as though this petro-dollar system was pure genius! The petro-dollar has been the new system since Bretton Woods. It is the main cause of the globalization of our economy. This petro-dollar system gives the US fiat dollar value. This is because the petro-dollar creates a demand for the US currency. If America wants to import more oil, all it has to do is print more money. Our dollar is not a total fiat currency as some claim. Today our dollar is backed by oil. America has successfully convinced the oil-producing nations to back our currency. In addition to this these nations have agreed to take some of the profits made from selling oil and put those profits back into the US by investing in US bonds. This is brilliant! America gets foreign nations to back their currency with their oil and then they get these nations to buy their debt! This petro-dollar system has created many problems. Nations fight to keep their currency values low because this acts as a tariff on imported goods. This is why the Chinese yuan has been kept artificially low. Nations with low currency values benefit because this practice serves to accelerate their manufacturing base. The higher your currency value the less you export and the more your economy imports. An artificially low value acts as a tariff on imported goods. If nations want to keep a low value on their currency all they need to do is print a lot of currency. The more currency they have the lower the value. Another problem with the petro-dollar system is that America lost a lot of its manufacturing base to overseas markets. Jobs started to leave the United States in the 1970’s. Countries needed these jobs to get U.S. dollars. They needed U.S. dollars to buy oil. The job losses accelerated in the first decade of the new millennium as China became a member of the World Trade Organization. The Trilateral Commission is a non-governmental, non-partisan discussion group founded by David Rockefeller in July 1973 to foster closer cooperation among the United States, Europe and Japan thus completing this new global structure. At least that is the cover. So now we have international laws, international trade, international courts, an international economy, and an international government headquartered at the United Nations. The United Nations happens to be headquartered in New York City. In all of this the dollar is king. It was the dollar that brought us to this point. The current modern global economic system we all find ourselves in was created by the banking system and they used the dollar to accomplish their goals! The One World Government or The New World Order (NWO) has continued to develop over the years. From the 1980’s all the way up to 2015 we see the globe unifying even more. This global structure has become even more pronounced! The banking structure has even put together technology that will be used to buy and sell as outlined in Revelation chapter 13. In the end what we may be witnessing with the rise of the one world government/New World Order is a stage that will be set up that may ultimately serve to be the fulfillment of many biblical prophecies.